The "Take It!" came from my having walked for quite a while on the asphalt paved path that circles the pond. 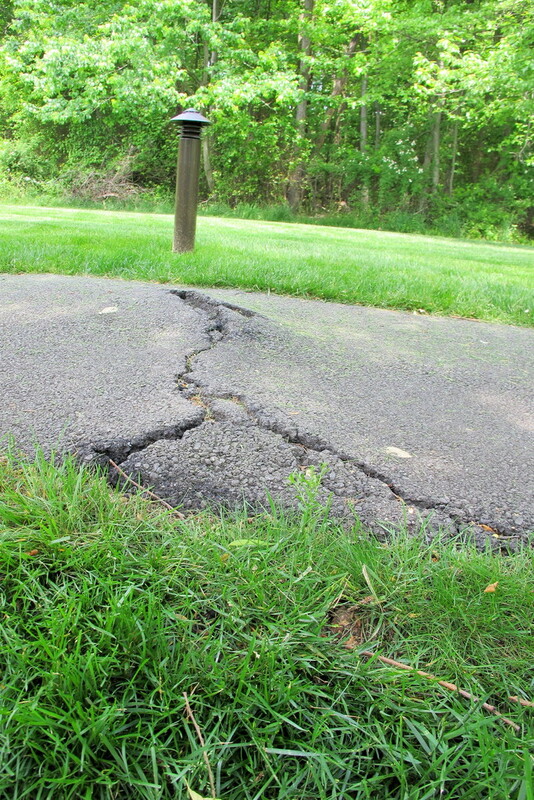 This was the only place where there was a crack in the asphalt and it all pointed straight at the border light next to the path as being the cause. The After Take: This falls into the imaginary world of "If things could talk, what would they say ?" 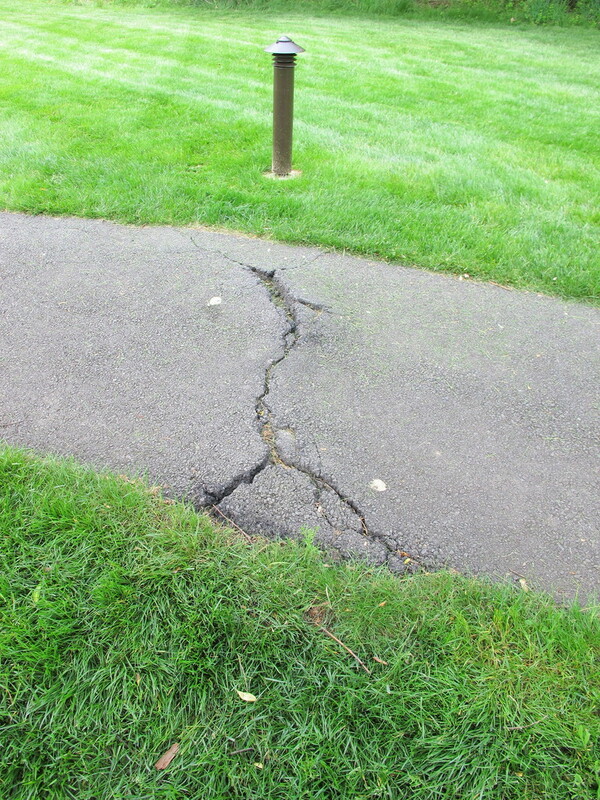 In this case, I can see the walkway teasing the light trying to make this nasty crack be its fault. All the while, the walk knows that it is a rogue root from the tree that is in the foreground that is creating the havoc. Hope you are enjoying the seemingly endless bounty of photos found at "The Pond Beyond" When I made my first visit to this tranquil place, I had no idea it would be so rich. Thanks for joining us for the current photo presentation. You are cordially invited to return Tuesday, September 25th for a new picture that we hope you will enjoy. If things could talk. Ha, now I'm going to wonder that all the time! Gotta love what roots can do to concrete. I have tripped so many times in settings like this one.